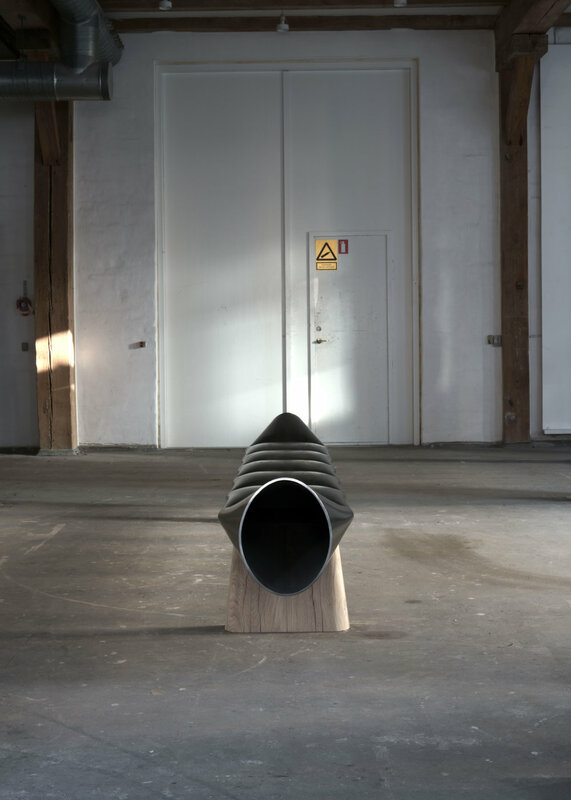 Jakob Jørgensen new works is made by deforming metal tubes and with the deformation he gives the tube a sculptural element. 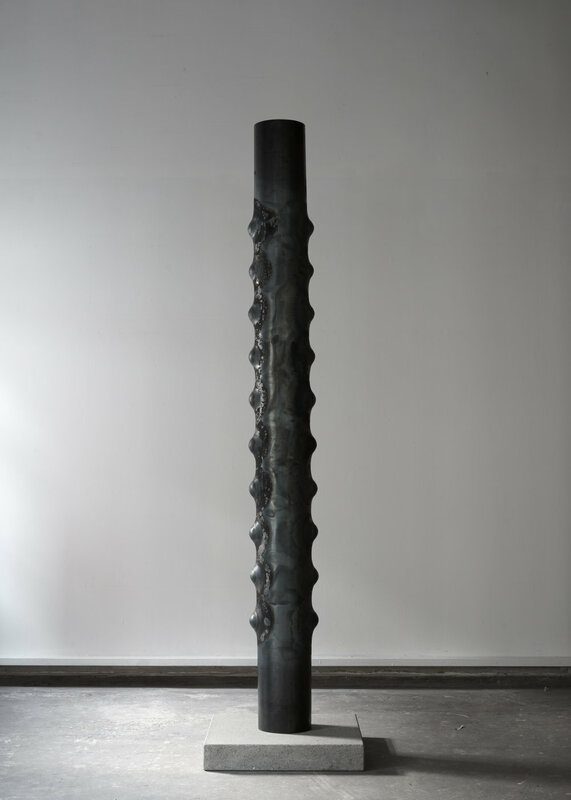 He is fascinated by the metal qualities which are both extremely hard but when formed with a 100 tons press machine or heated to 1000 degrees celsius it gives the metal tube plasticity qualities. 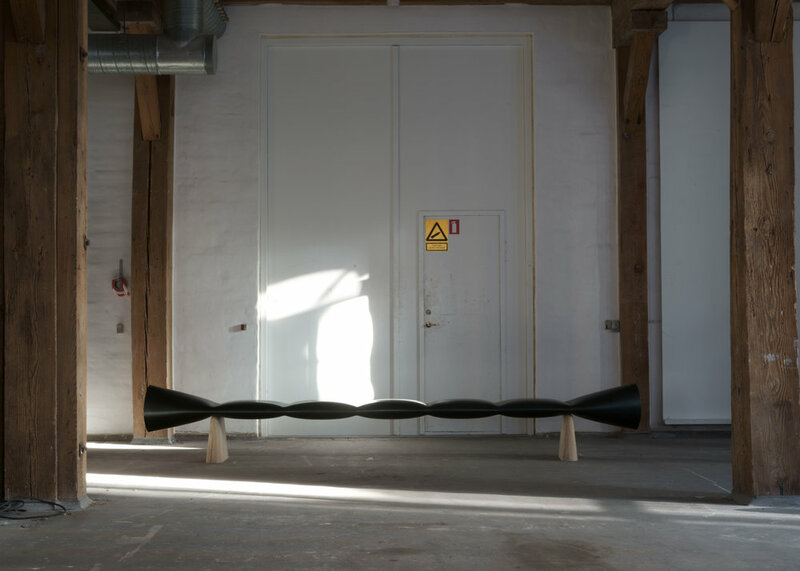 Jakob Jørgensen works is in large scale which gives the objects an physical impact and challenge both him when doing the works and the observer.